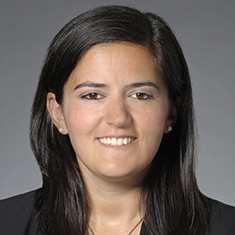 Alyse Sagalchik concentrates her practice on corporate matters, with an emphasis on mergers and acquisitions, joint ventures, private equity and securities transactions. Alyse also advises companies on a broad range of general corporate, federal securities laws and corporate governance matters, including Securities Exchange Act of 1934 reporting and disclosure matters. She has represented strategic and financial buyers and sellers in M&A transactions ranging in value from $10 million to more than $15 billion and spanning a wide variety of industries, including health care, technology, telecommunications, aerospace, food and beverage, hotels and energy. In addition, Alyse maintains an active pro bono practice. During law school, Alyse served as an associate editor for the University of Illinois Law Review and was an extern for the Honorable David Bernthal at the US District Court for the Central District of Illinois. Shown below is a selection of Alyse’s engagements.